Retirement News > Reverse Mortgages > Articles > What is a Reverse Mortgage? Who is Behind these Loans? What is a Reverse Mortgage? Who is Behind these Loans? A reverse mortgage is a loan taken against the equity that you have in your home. If eligible, older Americans can use a reverse mortgage to help them offset mounting costs or simply provide an additional revenue stream in retirement. The financial tool enables qualifying homeowners aged 62 or older to borrow against the equity in their home without having to sell the home, give up title, or take on a monthly mortgage payment. Various entities — the government, consumer groups, lenders, counselors and celebrities — help shape reverse mortgage policy and how the public perceives this often misunderstood financial product. So, what is a reverse mortgage and who are the big players involved? The home equity conversion mortgage (HECM) is the most common type of reverse mortgage. It is administered by the U.S. Department of Housing and Urban Development — part of the federal government. Administered means that the government sets guidelines for these loans. The guidelines determine how much reverse mortgage borrowers are eligible for based on the age of the youngest borrower or spouse, home value and current interest rates. When receiving a reverse mortgage, borrowers can opt for a fixed-rate or adjustable-rate HECM. Fixed-rate HECM: Loan borrowers will receive the cash in a lump sum, and the rate is set and fixed for the full duration of the loan. Adjustable-rate HECM: Loan borrowers can select one option or a combination of loan disbursement methods, including a line of credit, term or tenure payments. The government also has an ongoing role in monitoring the HECM program to ensure it is safe for borrowers. 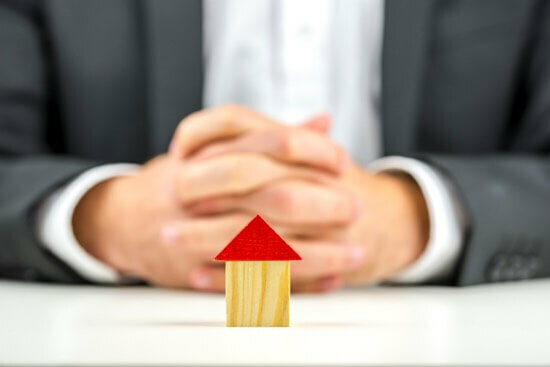 To ensure the government’s ability to offer the HECM program, the Senate Banking Committee passed two years ago the Federal Housing Administration Solvency Act of 2013. The FHA reform bill allowed for changes to the program, including providing the Housing Department with the ability to improve underwriting standards and lender accountability. Which Consumer Groups & Research Institutions Are Involved with the Reverse Mortgage? Lobby the government to make the loans as safe as possible. Research whether the loans are needed and useful. Promote findings about their research. CFPB: The Consumer Financial Protection Bureau (CFPB) recently issued a Reverse Mortgage Report to Congress. In it, the CFPB laid out five key consumer protection concerns, including product features that pose possible risks for consumers. The report spurred the government to implement policy changes to address those concerns. AARP: AARP is a nongovernmental organization and interest group representing Americans 50 and older. While AARP doesn’t offer reverse mortgage products directly, it does weigh in on them in some key ways. The organization is one of the most powerful lobbying groups in the United States, and influences reverse mortgage policy. Center for Retirement Research at Boston College: One of the nation’s leading centers on retirement studies, the Center for Retirement Research at Boston College, is another institution that cares about reverse mortgages. The National Reverse Mortgage Lenders Association (NRMLA) is the national voice of reverse mortgage lenders, serving as an educational resource, policy advocate and public affairs center. The member organization was established in 1997 to enhance the professionalism of the reverse mortgage business, notes NRMLA on the association’s website. Members adhere to a code of ethics as part of their membership. “Our mission is to educate consumers about the pros and cons of reverse mortgages, to train lenders to be sensitive to clients’ needs, to enforce our Code of Ethics and Professional Responsibility, and to advise policy makers on reverse mortgage issues,” NRMLA says. When you are looking for a reverse mortgage lender, it is a good idea to work with someone who is both a NRMLA member as well as licensed by HUD. Educate you about how reverse mortgages work and to help you decide whether or not the product is a good fit for you. To help you explore other financial options that might also meet your needs. Provide guidance and resources to help you make the best decision. Provide support throughout the reverse mortgage application process. All reverse mortgage borrowers must go through reverse mortgage counseling before securing a loan. Reverse mortgage counselors are trained by HUD. They are not affiliated with any lender. The counseling sessions are designed to help you ask good questions and find good information. No counselor should ever tell you what you should or should not do. To help communicate the financial impact reverse mortgages can make in retirees’ lives, many lenders turn to celebrities who act as spokespeople for the financial product. For years, the largest reverse mortgage lender American Advisors Group (AAG) ran television commercials featuring former U.S. Senator and national spokesman Fred Thompson. Thompson emphasized the role of reverse mortgages in retirement planning in the TV spots. Other companies also use this technique. Henry Winkler, also known as The Fonz/Fonzie, has discussed reverse mortgages on behalf of One Reverse Mortgage. It Takes a Thief star Robert Wagner has endorsed reverse mortgages on behalf of Urban Financial Group — and the list goes on and on. Ultimately, those who shape and define what is a reverse mortgage share a desire to make the financial tool as safe as possible for consumers. If you want to stay in your home and want to eliminate existing mortgage payments or use your home equity for retirement, a reverse mortgage might be right for you. Calculate your reverse mortgage loan amount today. What Happens to a Reverse Mortgage After Death or When a Reverse Mortgage Becomes Due? How Reverse Mortgages Work: Do You Agree With the Top 6 Reverse Mortgage Objections? Who Wants Reverse Mortgage Information? Why? And, What Can They Get from These Loans? Is Tom Selleck Telling the Truth About Reverse Mortgages? How Many Types of Reverse Mortgages Are There?